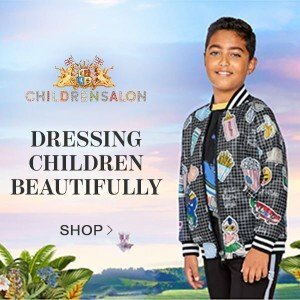 The mystery is solved! 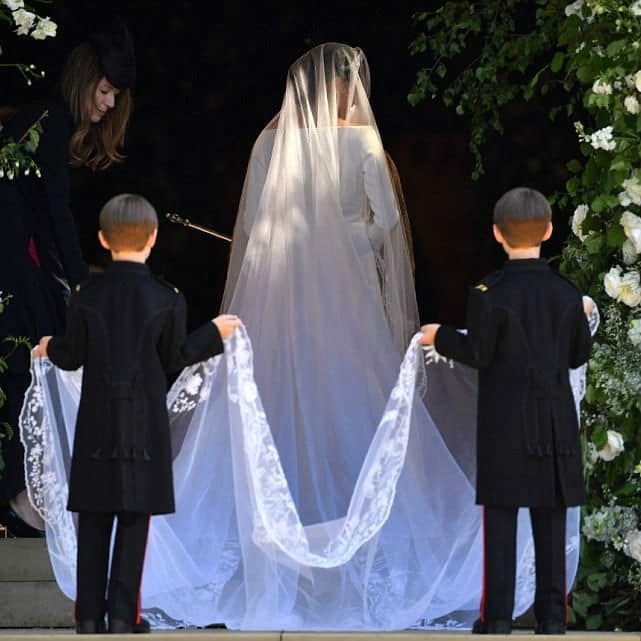 Givenchy’s Clare Waight Keller designed not only Meghan Markle’s brides dress, but also the matching bridesmaid mini-me dresses. 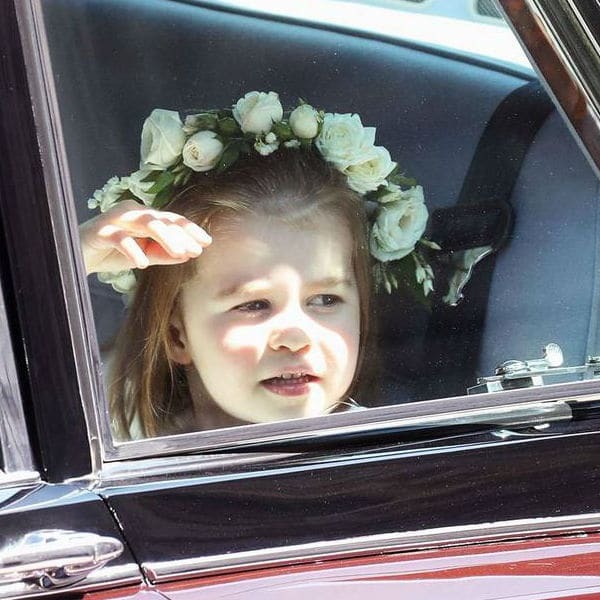 All eyes were on the eldest children of the Duke and Duchess of Cambridge, Prince George (4) and Princess Charlotte (3) when they arrived at the royal wedding with their mother Catherine. 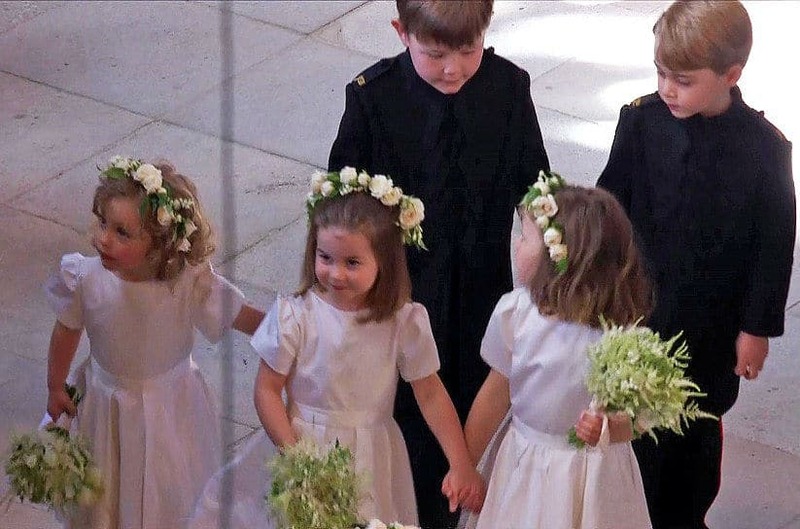 Prince George and Princess Charlotte joined 10 bridesmaids and page boys at Meghan & Harry’s Royal Wedding. 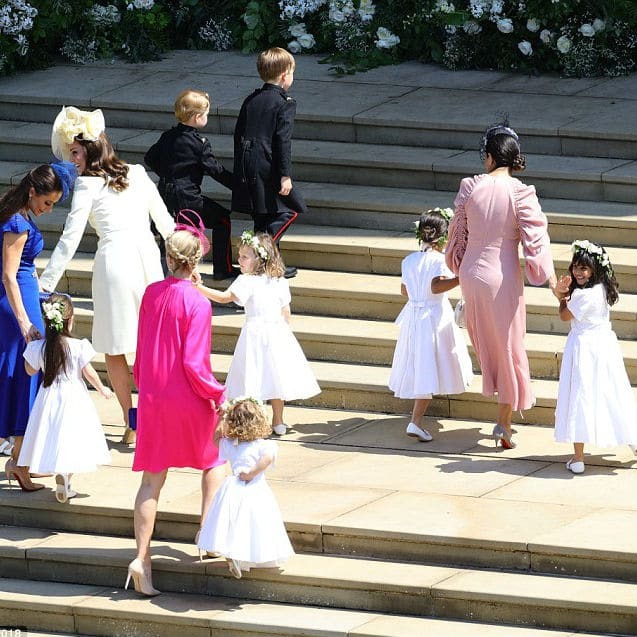 The other bridesmaids include Harry’s goddaughters, Zalie Warren and Florence van Cutsem, Meghan’s goddaughters, sisters Remi and Rylan Litt, and Ivy Mulroney. 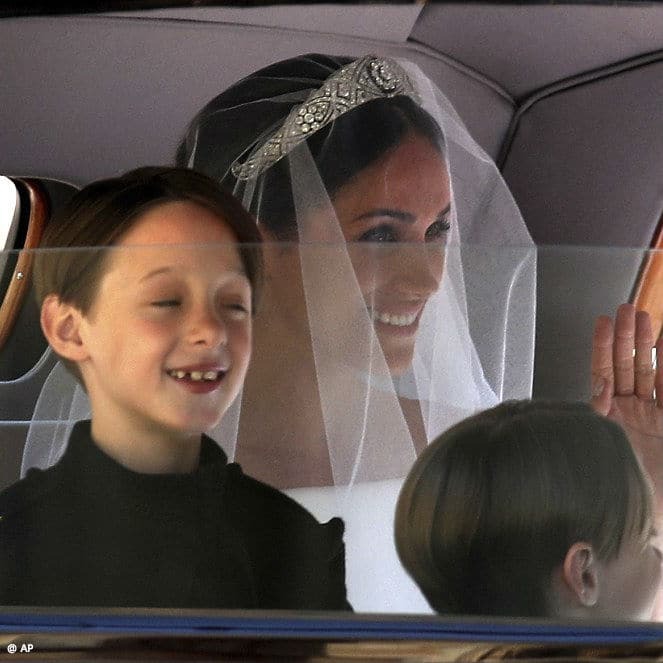 The Royal Palace came out with an official statement on the bridesmaid and page boy outfits. 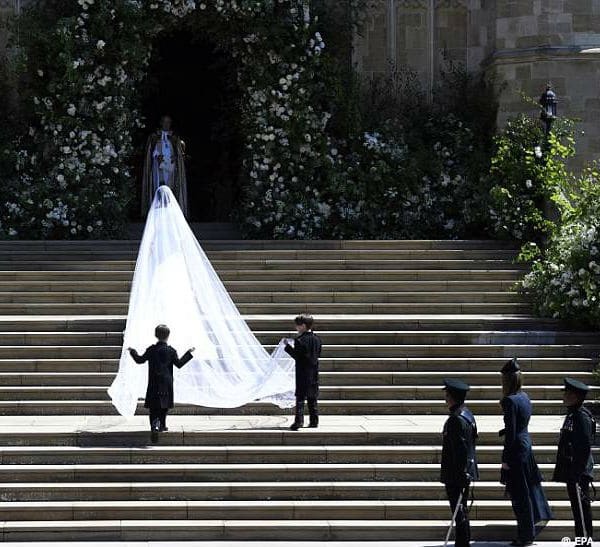 Clare Waight Keller designed the six young Bridesmaids’ dresses in the Givenchy Haute Couture Atelier in Paris. 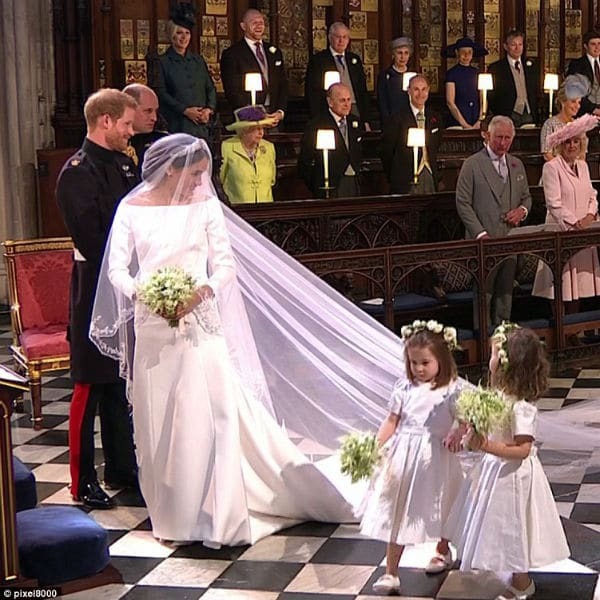 The dresses were designed to have the same timeless purity as Ms. Markle’s dress. The Bridesmaids are wearing white leather Aquazurra shoes; each pair is monogrammed with the Bridesmaids initials and the wedding date. 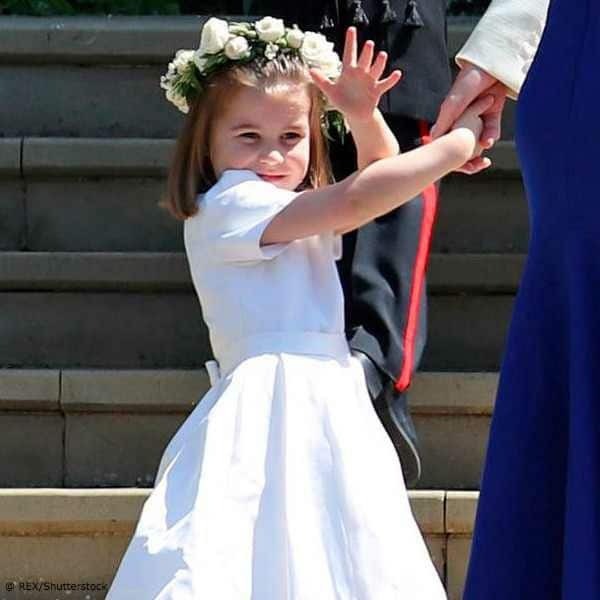 The shoes are a gift from Ms. Markle to the young ladies as a keepsake of the special day. 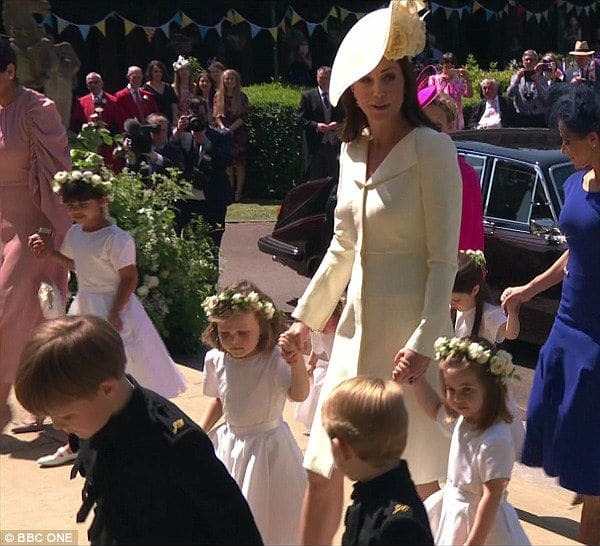 Duchess of Cambrige Catherine arriving with Prince George & Princess Charlotte acting as Page Boy & Bridesmaid in Givenchy Dress. 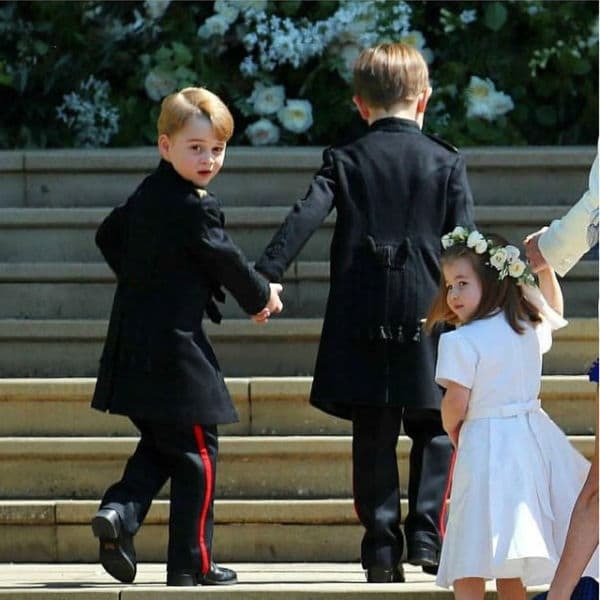 The frockcoats are made from blue doeskin, single-breasted in style with a stand-up collar and completed with figured braiding of the Regimental pattern. 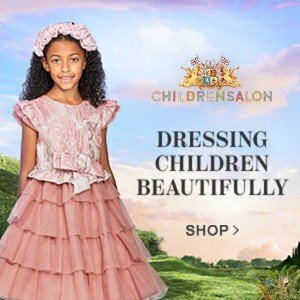 The figured braiding has been scaled down for the Pages, as otherwise, it would have gone above their shoulders. As a special memento, each Page has their initials embroidered in gold on their shoulder straps. The Pages are not wearing hats or white waist belts for practical reasons. 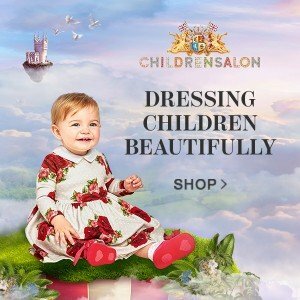 Their leg garments are made from blue/black wool barathea with three-quarter scarlet stripes fastened with a leather strap. The uniforms were cut and made by the tailors Dege & Skinner in Savile Row.